At the end of the day, that’s what keeps you moving forward. When you find something that motivates you, you can get it done. You find the energy to give it effort…regardless. As tired as I was after working a 14.5 hour day at work… Burberry moved me. lol. And I wanted it on my nails. This was my first attempt. But trust me, I’ll be practicing this again until I get straight lines, and a better aspect ratio. :-). I will post update pics after I re-do this a few more times…. but I had to share… Flaws and all. 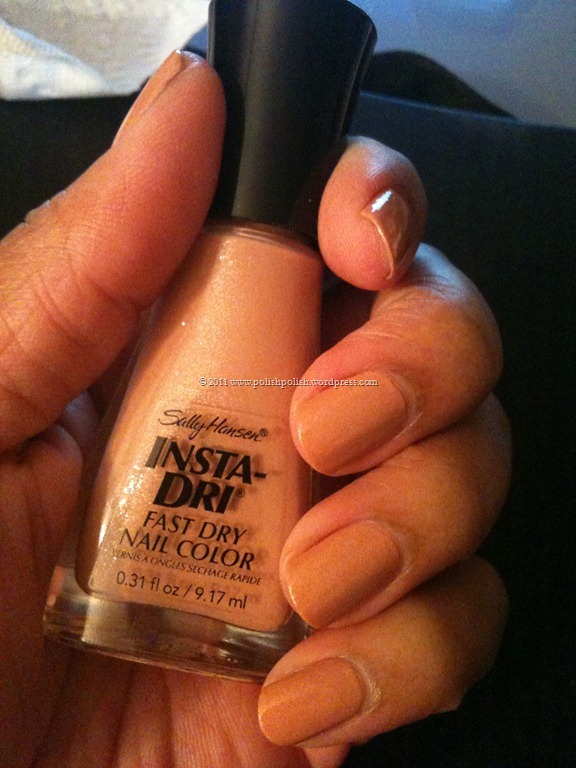 I started with the neutral peachy tan Sally Hansen Insta-Dri color "Quick Sand". 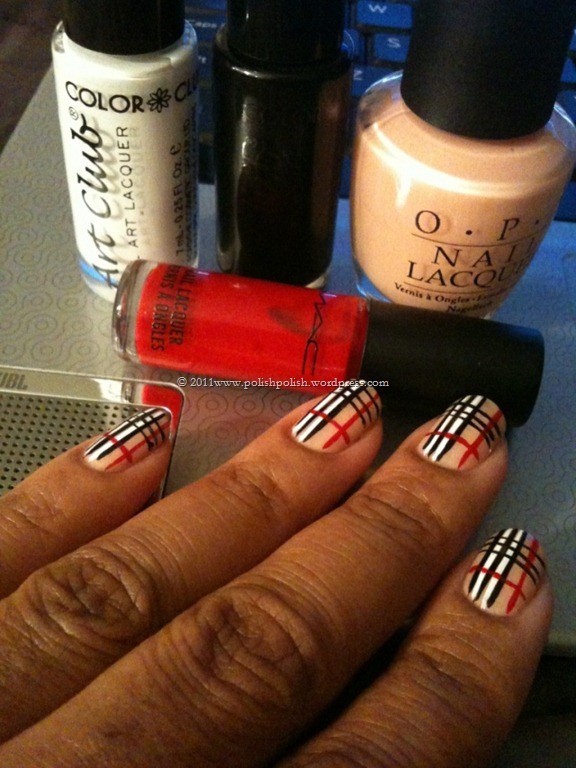 Matches pretty closely to the classic Burberry base. Then I added some white stripes with white nail polish; tried some free-hand black and red stripes with acrylic paint…. 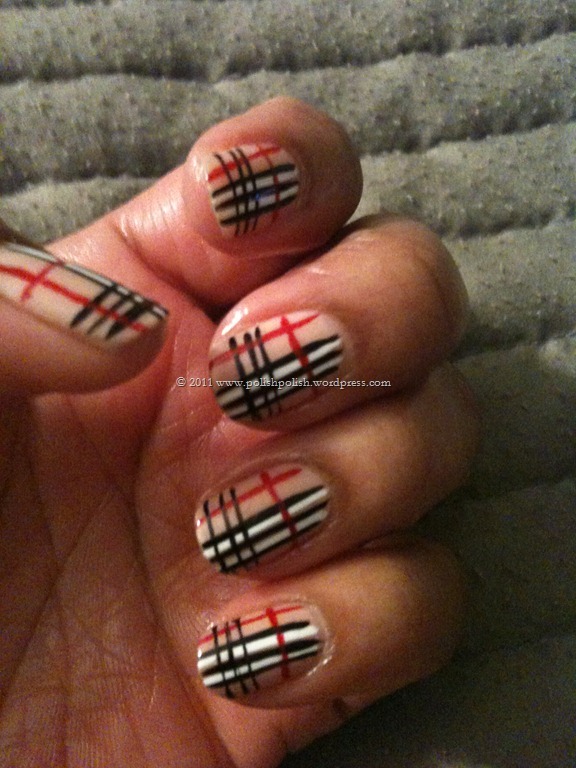 top coat….. and "almost" Burberry :-). Will try again as soon as I have some time, and will update photos! My lines are getting straighter, and I think the aspect ratio is improving. I like it better, but I think I will have to take a break from practicing it right now because I’m getting frustrated that it’s not coming out exactly how I envision it. 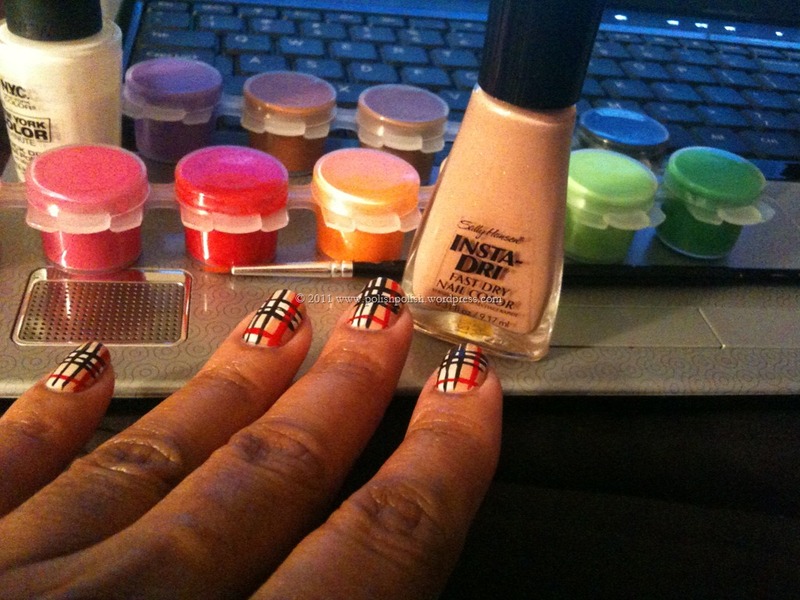 This entry was posted in Color Club, Nail Art, OPI, Sally Hansen Insta-Dri, Uncategorized and tagged "Quick Sand", acrylic paint, asiatique, burberry, malaysian mist, plaid. The motivation? Hmmmm? The 14.5 hours is why a person can come home and look forward to just puttin it on. Its kind of like a person …..the energy I have or you to put on layers of polish I want and need that motivation to energize and brighten up her life ….what’s your motivation ….post all you want ….there should be someone wanting to be posted every other day ….you’re the post …..I say when forever ends ……and as long as there’s no nail rack …..I will post relentlessly ….how can I be the horsehair brush that runs across the cuticle or the ball bearing that shakes your anticipation vein to be opened and released ……? You rummage through me like a junk drawer ….I yearn to be the swipe through to gain access to your heart ..